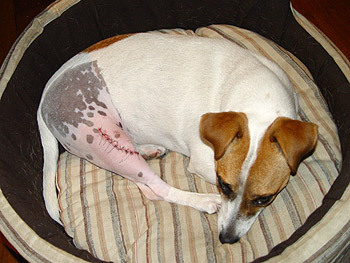 In April Marlee had a knee operation. Two months of recovery. She won't be happy!